These two Nordic-born (but now global) Web Content & Experience Management (WCM) vendors frequently get mentioned in the same breath, though under the covers, they are actually quite different. 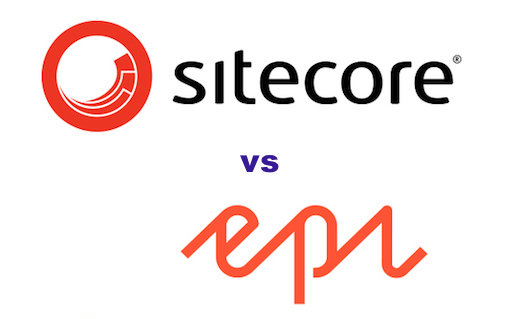 I sometimes refer to Episerver in shorthand as "a poor man's Sitecore," but as you'll see below, that's a real over-simplification. Having just updated our evaluations of both vendors, it seems like a good time to contrast them. Note that I'm not saying that one is inherently better than the other because of these differences. I just want you to understand the full import of the choices you make. In fact, that's why RSG exists. So if you haven't checked out our hard-hitting Web CMS platform evaluations, try out this sample excerpt and let us know what you think. "I've been using the The Web CMS Research and I have to say that the quality of the analysis is flawless. How your team not only gets beneath the surface of CMS products but also highlights the good, bad, and ugly in very readable research is nothing short of miraculous."